Copy the worksheet on a transparency. Put it on the overhead projector. Divide the class into 2 groups. One group starts and calls a number and a letter and must form a sentence in the correct form. Then the other group goes on. The group with 5 points in a role is the winner. This downloadable teaching material was created for high school students and elementary school students at Elementary (A1), Pre-intermediate (A2) and Intermediate (B1) level. 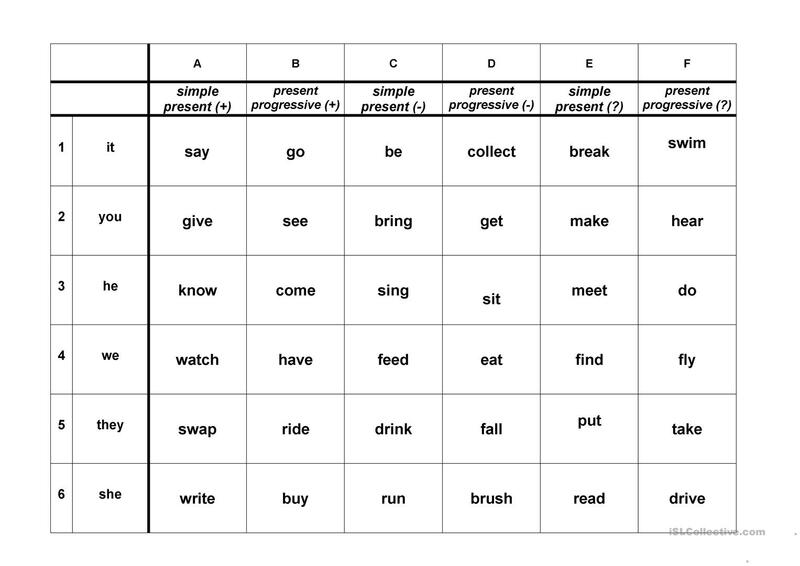 It is great for practising Present simple vs continuous (progressive) tense in English, and is excellent for improving your students' Speaking skills.